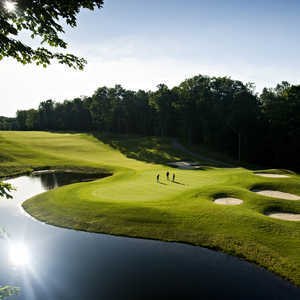 Hawk's Eye Golf Resort in Bellaire is one of the top 15 public courses in the state of Michigan. 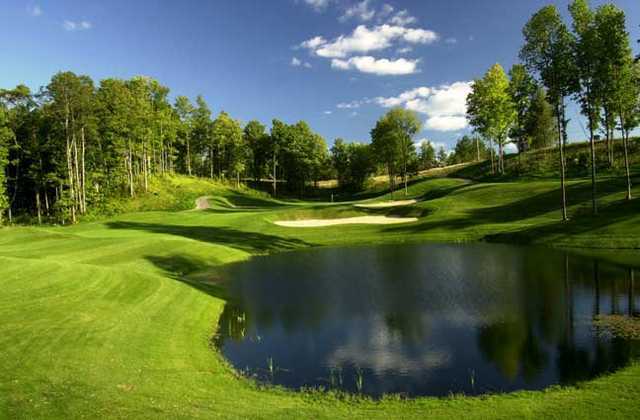 The championship course is the centerpiece of a tucked away golf community in the northern part of the state. The golf course offers something for every skill level. Beginners are welcomed by the generous fairways and forgiving greens while the more advanced players will enjoy all of the risk-reward opportunities. The back tees are also positioned so that there are more forced carries that require greater accuracy. The layout sprawls across windswept hills and wooded valleys. The towering trees give way to beautiful views of Intermediate Lake and the surrounding countryside. In addition to the golf course, Hawk's Eye offer practice facilities including large driving range and a nine-hole putting course. Dress code: Proper golf attire. No denim or tee shirts. We love Hawk's Eye! The staff is very friendly. Nick always greats up with a smile and a "Hey, how can I help you!" We have had some of our most memorable rounds of Golf on this course! Great people! Great place to relax. I have played this course 6 times. It is beautiful and the layout is fantastic. It is plenty challenging and is a true player's course. I always get pumped up to play it. I have played all over the state and this is my favorite. I love this course, as do my golfing buddies. It's visually beautiful and the layout is interesting and challenging yet very playable. I live in Traverse City, with a plethora of excellent courses very nearby, but to treat myself I take the 50-minute drive to Hawk's Eye. 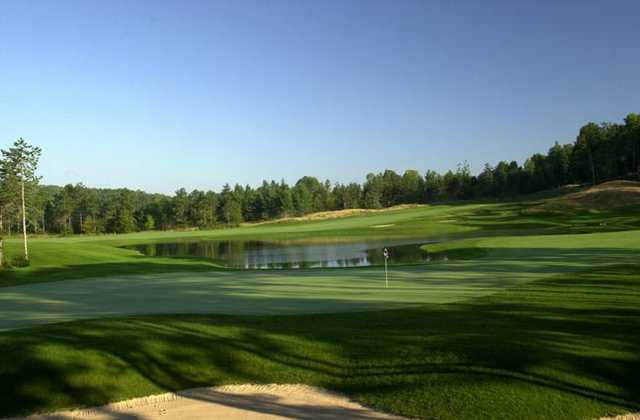 My group plans three days each summer to visit Shanty Creek. We play 36 holes a day. My group likes Hawkseye so much we play it twice in the three days. It is a beautiful course that is challenging and friendly at the same time. Wish it was closer to home. Very nice course with wide forgivable fairways. 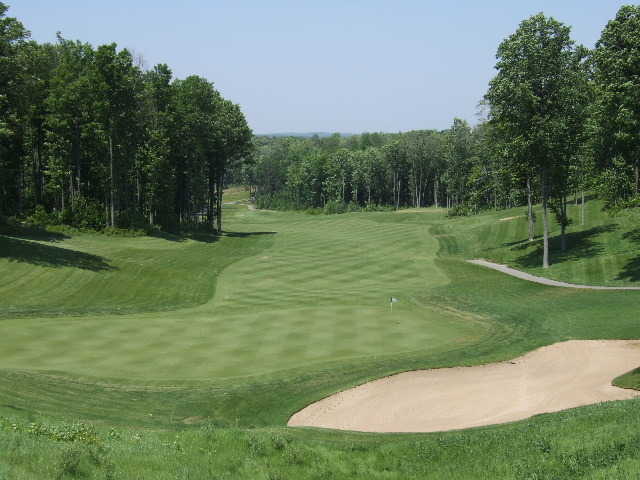 A dream to play because an average golfer can play fairways throughout most of the course yet it has well designed grade changes that make it a great play. Well taken care of. 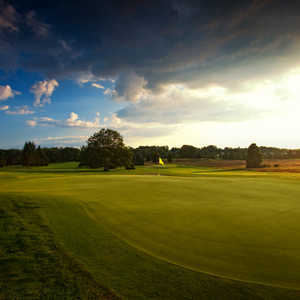 This is a very well maintained and challenging course but will set up well for high handicaps with the tee selections. This is a great value for a championship style course. 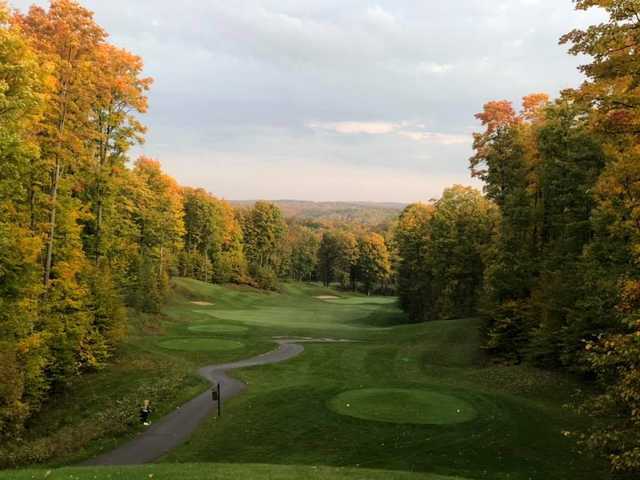 My wife doesn't play but loves the scenery and wildlife of the northern Michigan courses and this one provides plenty of both. This is a great course. Great views and well maintained. It is challenging, but if a ball dosent land in the fairway everytime, recovery is a good possibility. Myself and the other 3 guys I golf with stayed at the Hawks Eye Condos and they are really nice as well. Big Condo with plenty of room for a group of 4. We also played the Hawks Eye's sister course down the road called The Cheif. This is a very visually interesting course but almost too hard for our group of high handicappers. ALOT of blind shots and huge valleys. If a ball is off of the fairway, better get in the bag for another. but still, a really nice course to have some fun with. This course is great! Very well maintained and some of the best topograph and views anywhere. Definitely a must play course that I will return to year after year.